Usually held on Tuesday or Saturday afternoons, also on Sundays between October and Easter. Starting at 2pm or after for a maximum of two hours with exclusive use and unlimited rides during that time. Party must end by 4.30pm. Maximum number of children attending must not exceed 20. Adults attending the party need to be 1 for every 4 children and must be willing to ride with the children. HELPERS MUST BE RESPONSIBLE AT ALL TIMES FOR THE GOOD BEHAVIOR AND SAFETY OF CHILDREN ATTENDING. 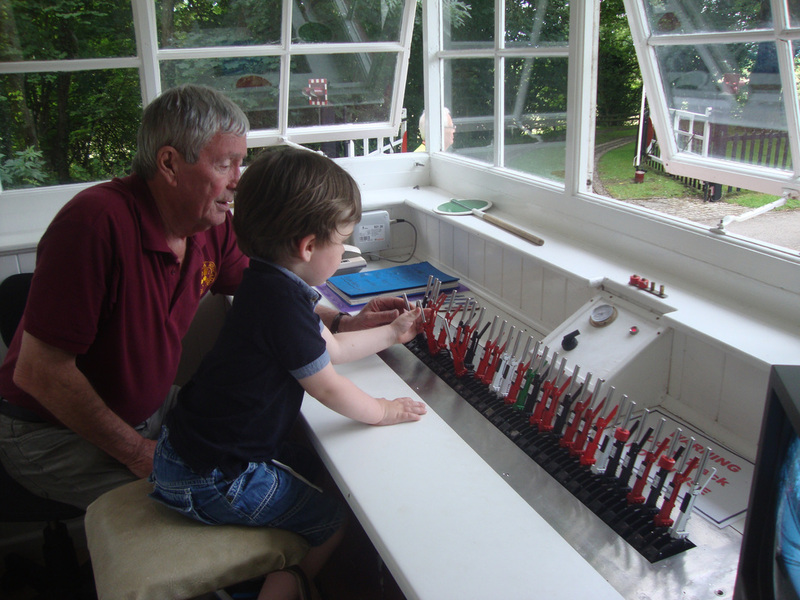 A minimum donation of £110 is requested for exclusive use of clubhouse and all its facilities, with use of one Diesel or Electric Locomotive giving unlimited rides. An additional donation of £30 is requested if a Steam Locomotive is required to haul the Birthday Express! WE ADVISE THAT YOU MAKE YOUR BOOKING AT LEAST TWO MONTHS BEFORE THE DATE OF YOUR EVENT TO AVOID DISAPPOINTMENT. We welcome bookings from Nurseries, Schools and other Associations.